Have you ever looked at a car and thought ‘this is so pretty, it could be in a museum’? 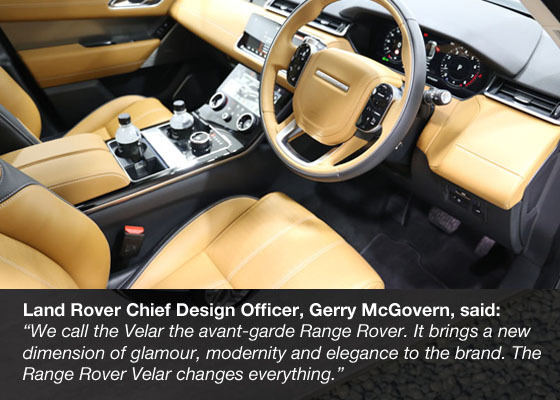 Well, the Range Rover Velar actually was: for a period after its launch it was a popular exhibit at London’s Design Museum. 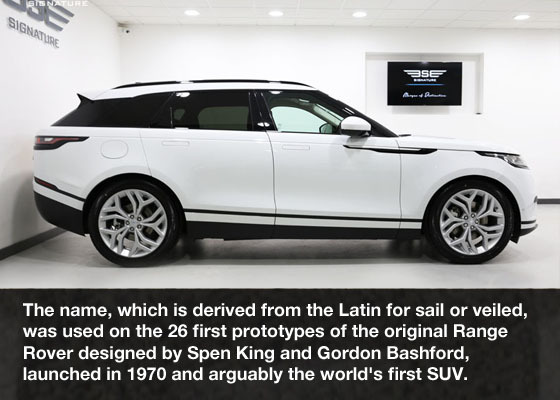 Oddly enough, this can actually be considered the second time in the car’s history that it was in a museum, as the first Range Rover, whose prototypes were nicknamed ‘Velar’, went on display in the Louvre, Paris in the 1970s. 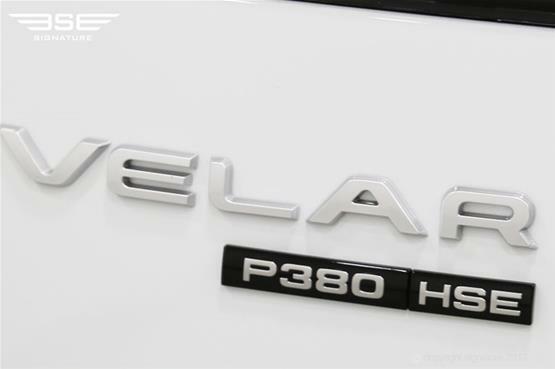 But what is the Range Rover Velar today? 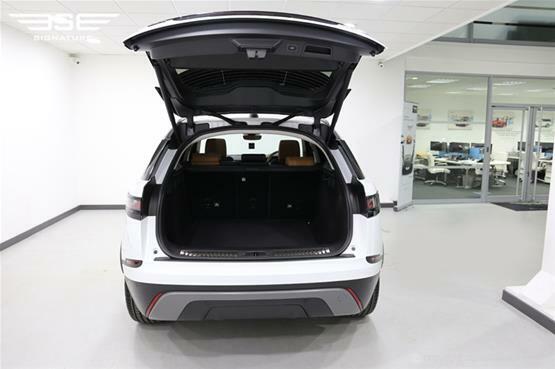 Fitting between the Evoque and the Sport in terms of size, this is a strikingly-designed five seat crossover SUV which takes all the stress out of family transportation. 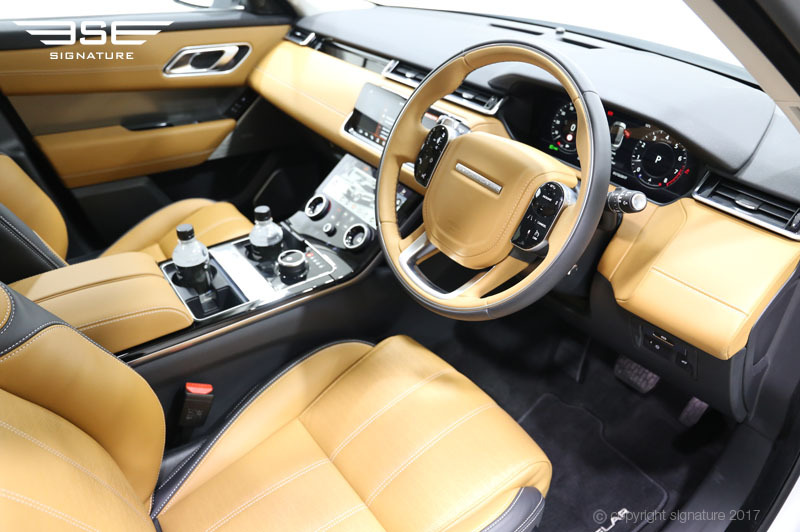 Its style is very minimalist, exhibiting taut lines and smooth features that call to mind power and quiet luxury. 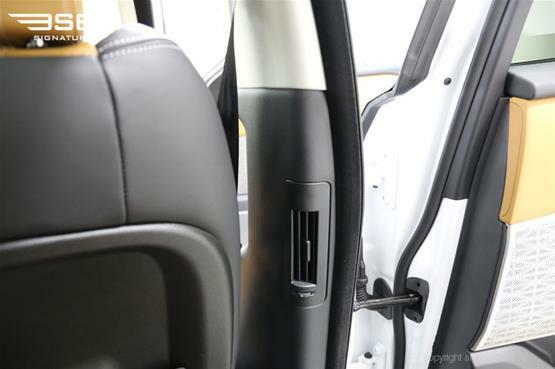 Even the handles sink back into the doors so as to not ruin the car’s overall profile. 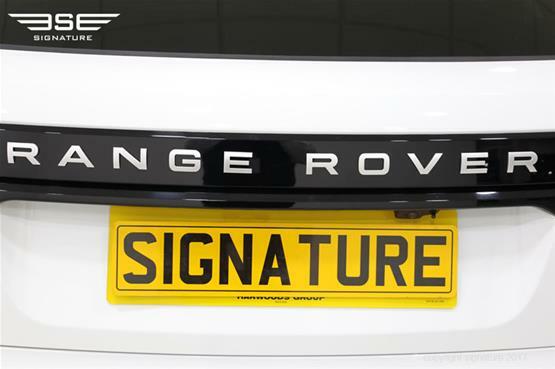 With three outstanding models already present in the Range Rover, er, range, it’s easy to think that a fourth luxury SUV would be superfluous. 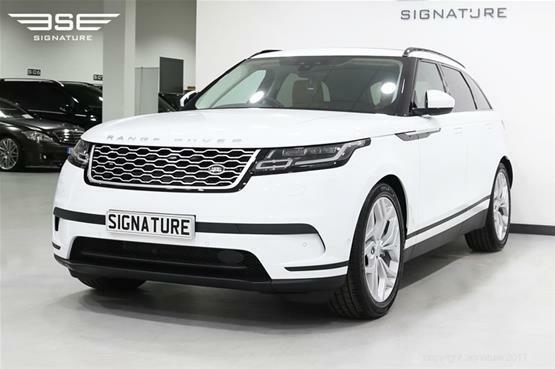 A quick drive in the Velar, however, will convince you of the innovation, comfort, luxury and sheer style present in this model – a very worthy addition to the line-up indeed. Like any Range Rover the Velar HSE offers outstanding capability on a variety of surfaces, terrains and weather conditions. 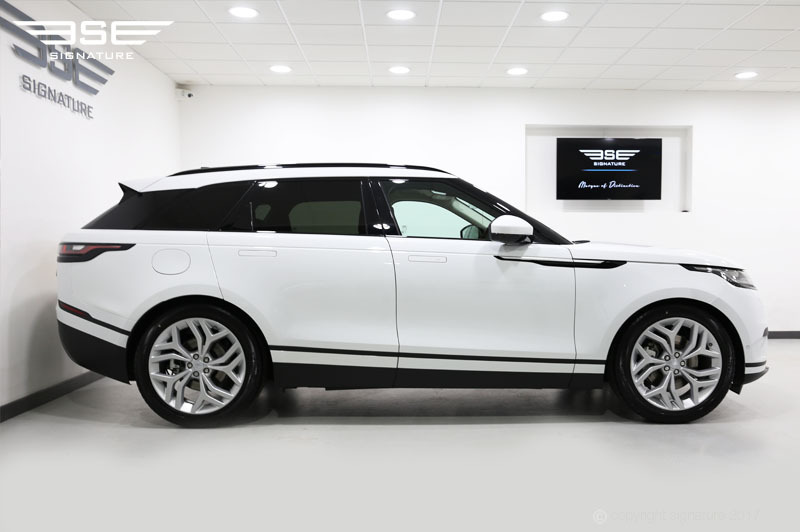 It has, for instance, a wading depth of 65cm, an allwheel drive system and the advanced traction control you’d expect from this kind of vehicle. The car is powered by a meaty 380HP supercharged V6 petrol engine that melds sports-car like performance with a pleasing soundtrack – oh, and it’ll get you from zero to 60MPH in just 5.3 seconds, making it the fastest Velar in the range. 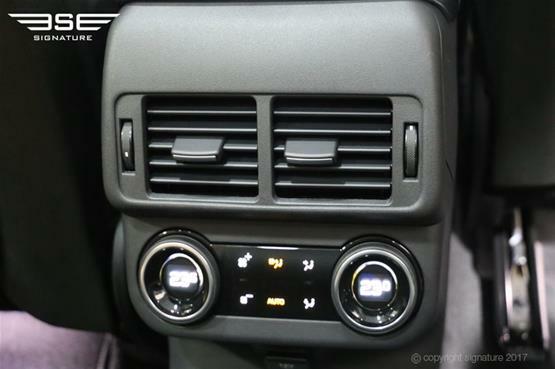 Coupled to the powerful engine is the eight speed ZF automatic transmission, offering smooth as silk shifting. As we’ve come to expect from Jaguar Land Rover, this car is stuffed with clever technology that enhances performance without the driver having to press a button. 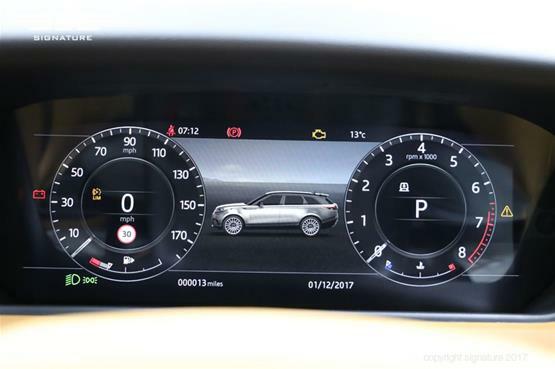 Take Adaptive Dynamics, for example, which monitors wheel movement 500 times per second and body movements 100 times per second, allowing it to optimise the suspension stiffness no matter what the driving conditions. 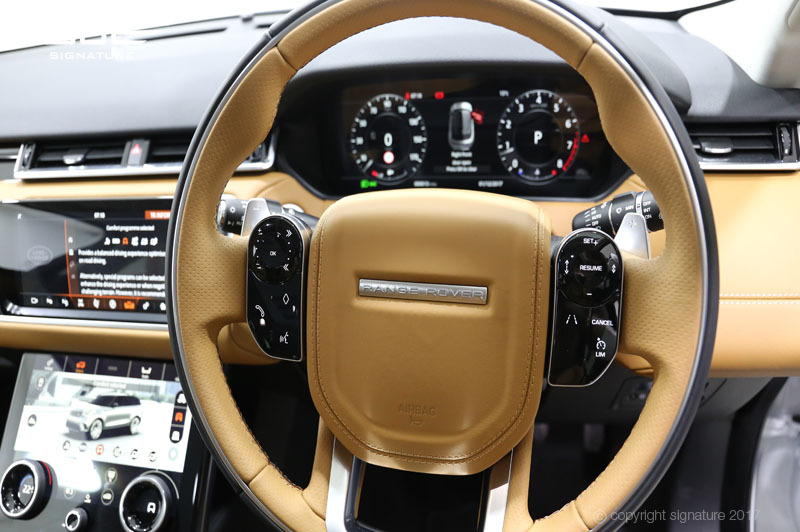 The result for you? A smoother, more comfortable ride and easier driving. 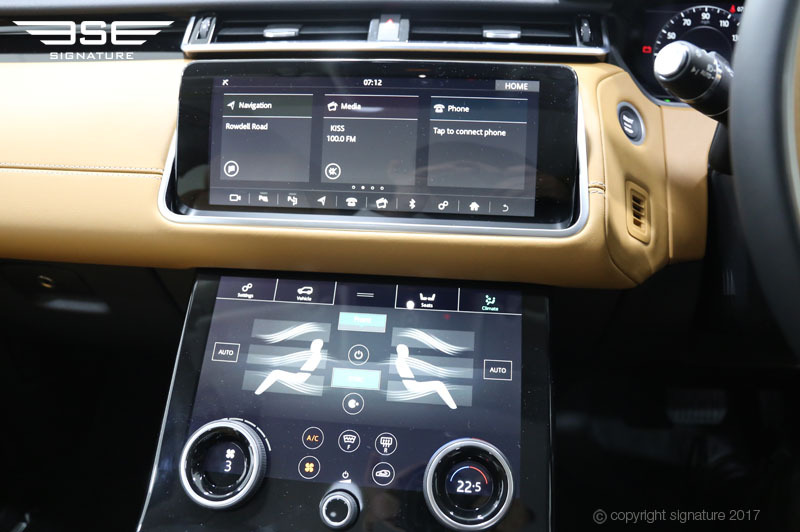 Yet none of this would make the performance so stunning if it wasn’t for the underlying configuration of the Range Rover Velar. 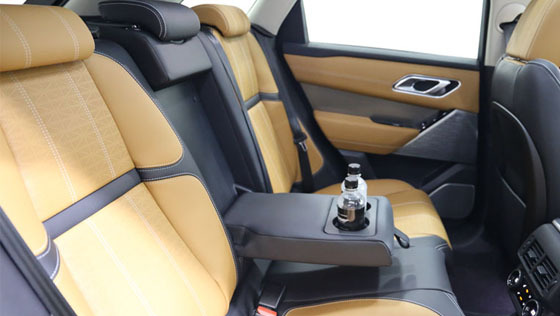 The car has an advanced chassis features a sophisticated double-wishbone front suspension that’s more commonly found on sports cars, while steel front lower control arms provide maximum durability in challenging off-road conditions. At the rear of the car, the Integral Link setup is one of the most sophisticated and most capable rear suspension systems available. 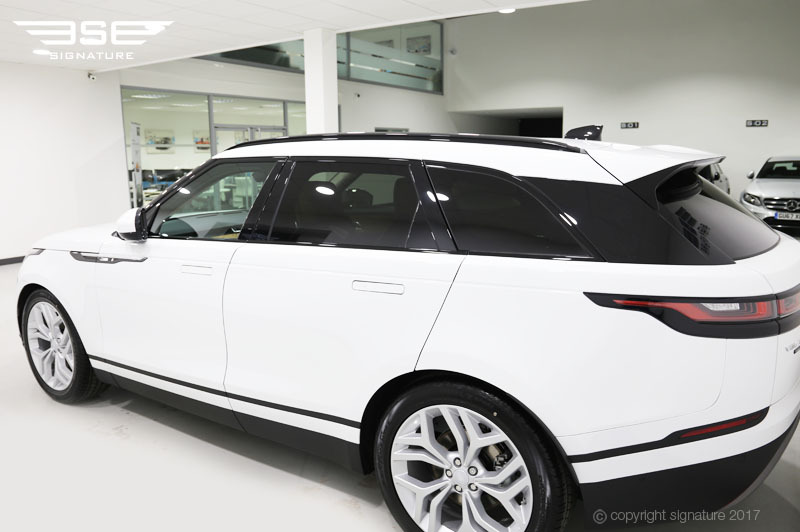 The design of the car helps too: the Velar is the most aerodynamically efficient car Land Rover have ever produced. This all adds up to a car that delivers great performance in a huge variety of conditions while not compromising on drivability or ride comfort. The Range Rover Velar we have for hire is a beautiful gleaming white, which emphasises the car’s powerful proportions. Defined by a continuous waistline which rises to the taut tapered lines at the rear, the car is reminiscent of a luxury yacht, with all the accompanying connotations of luxury and elegance. 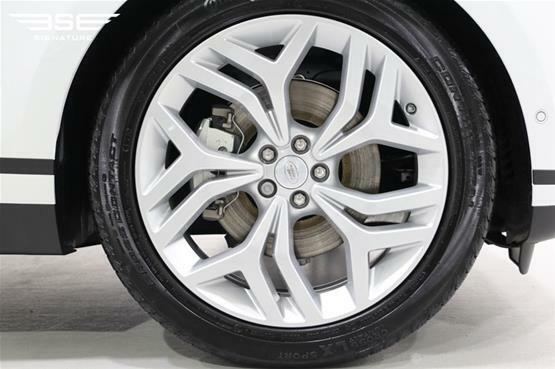 The design is augmented by large alloy wheels and the car’s 113.15-inch wheelbase. 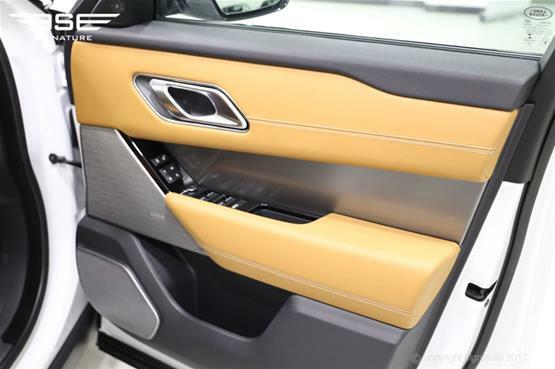 It’s the little touches that are perhaps most noticeable on this design. 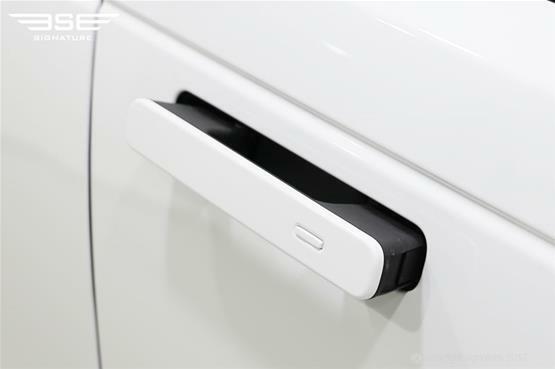 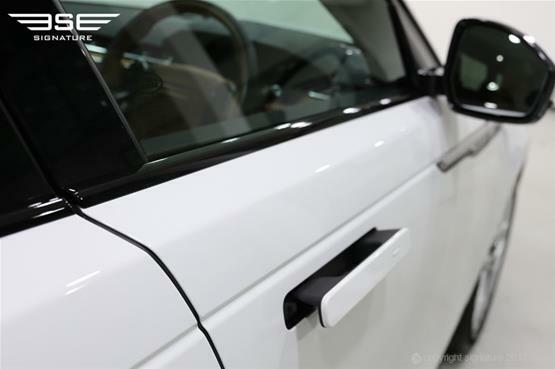 The door handles, for example, which fit flush into the door when not in use, or the slender LED headlights, the thinnest ever on a Land Rover: both of these emphasise the car’s streamlined, minimalist aesthetic. 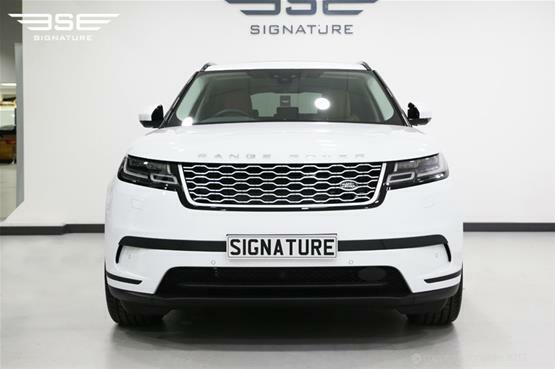 Rent our Range Rover Velar and you’ll discover that this vehicle is the epitome of elegant simplicity, sophistication and refinement. 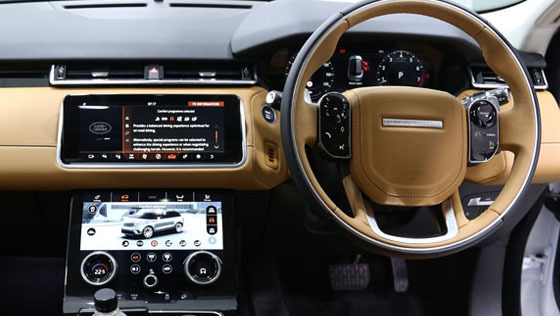 Underpinning this strong design ethos is one of the most impressive features on this model: InControl Touch Pro Duo. This system features two 10-inch HD touchscreens, integrated seamlessly behind hidden-until-lit surfaces. With an intuitive, engaging interface, the upper touchscreen can be used to control navigation, media and telephone functionalities. 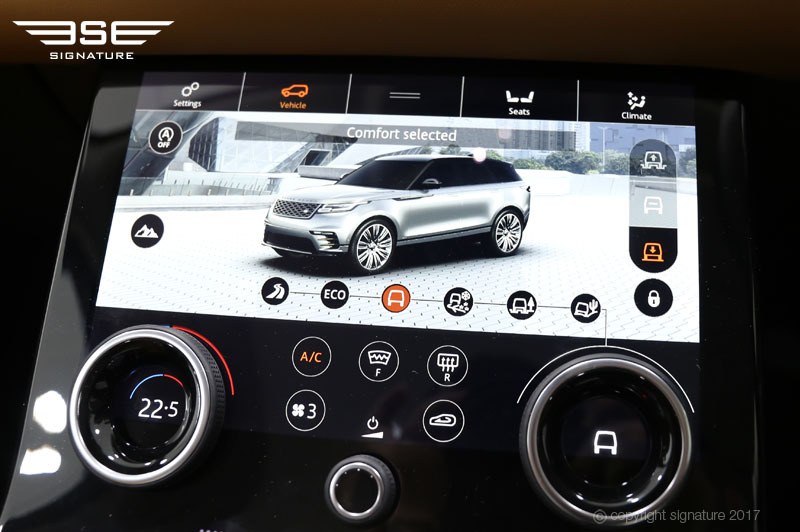 It’s as easy to use as a smartphone, with the main panel displaying more details on your chosen function and the side panel displaying other frequently used options that you might need to access quickly. This screen can even be tilted to give the driver the perfect view. 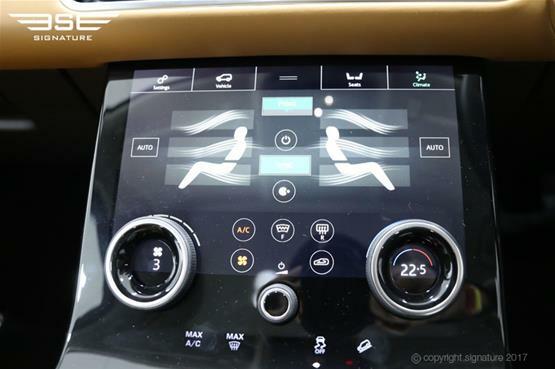 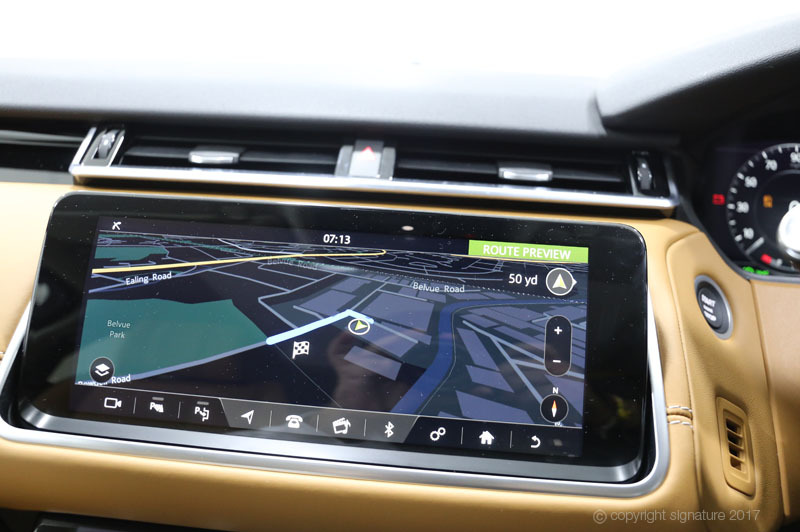 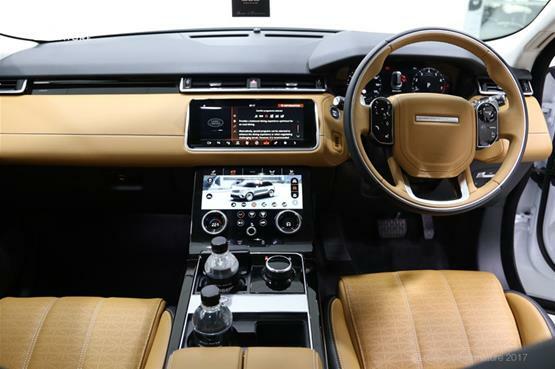 The lower screen, meanwhile, is integrated within the centre console and manages features including the climate control and Terrain Response functions. 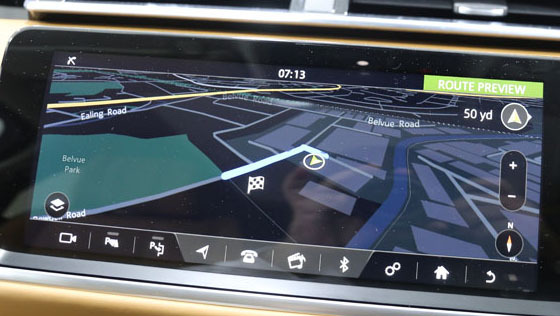 Integrated within the system are advanced features such as the ability to see an interactive view of your destination, upload a pre-planned route and even create your own WiFi hotspot. 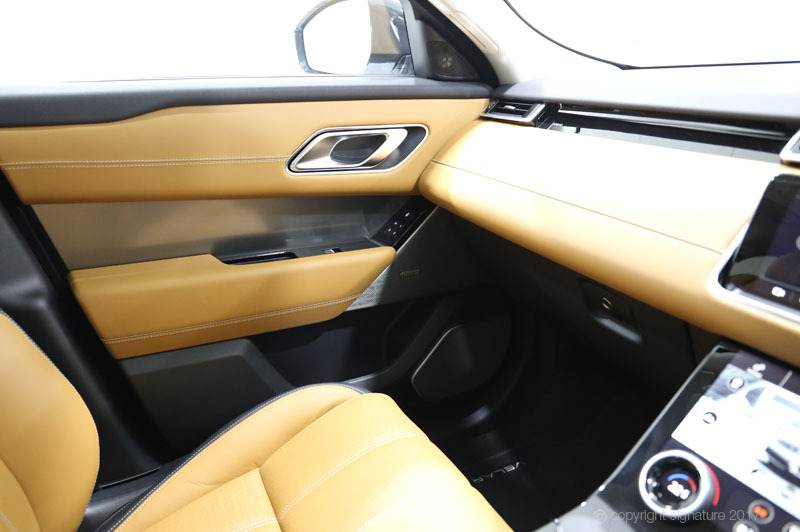 Elsewhere in this beautifully minimalist cabin the focus is on luxury materials and exquisite detailing rather than unnecessary features. Key to the interior harmony is Land Rover’s new Cut Diamond signature design, which flows the same motif from the raked-back instrument panel to the spacious boot. 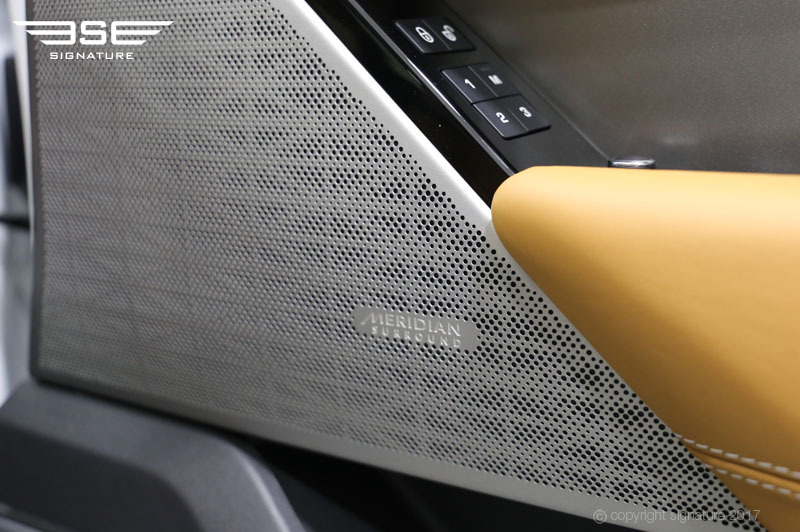 The Cut Diamond motif even forms an integral part of the stainless steel speaker frets on the Meridian 17 speaker audio system. 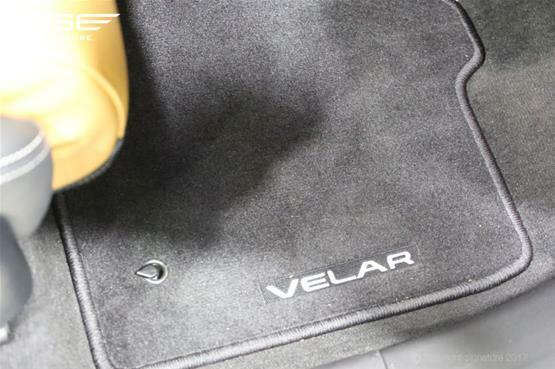 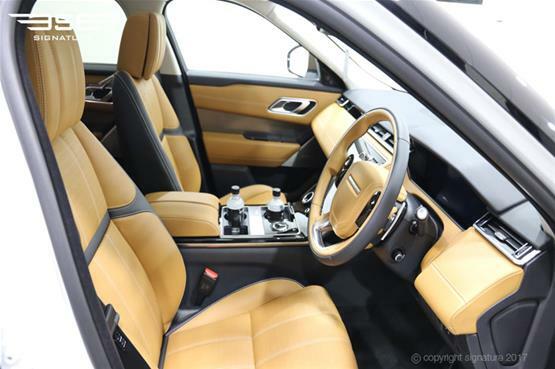 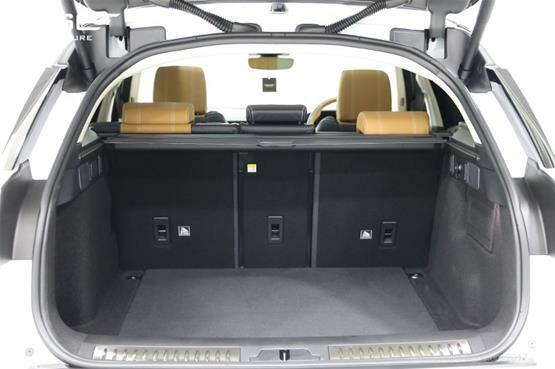 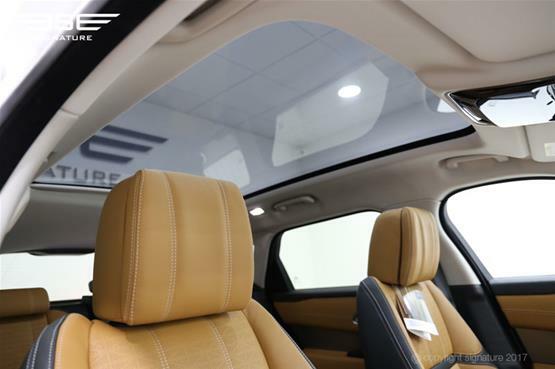 As befits a Range Rover Velar based in the UK, our car has the highest grade Windsor leather, covering the seats in luxuriously soft tan leather with ebony detailing, which extends to the instrument panel and door casings. 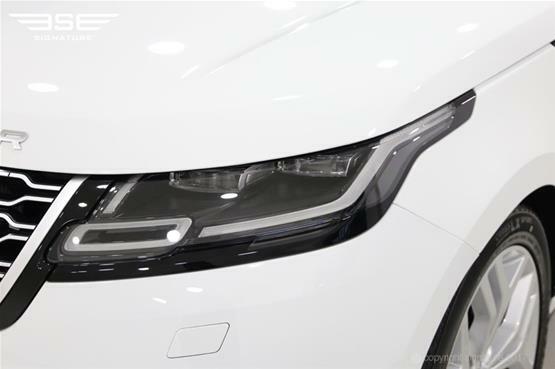 Everything is illuminated by ambient LED lighting, which casts a soft and calming glow over the distinctive styling in the interior. 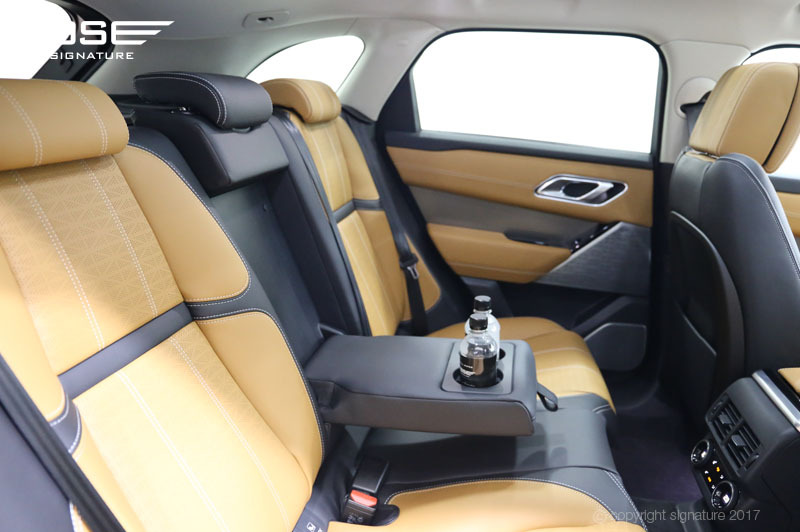 As well as sublimely comfortable seats, climate control and large amounts of legroom, all passengers have access to USB ports for charging their devices on the go. If you’re looking to hire a Range Rover Velar HSE in London you can’t go wrong with our beautiful high spec version, with its powerful engine, luxurious materials and high levels of comfort. 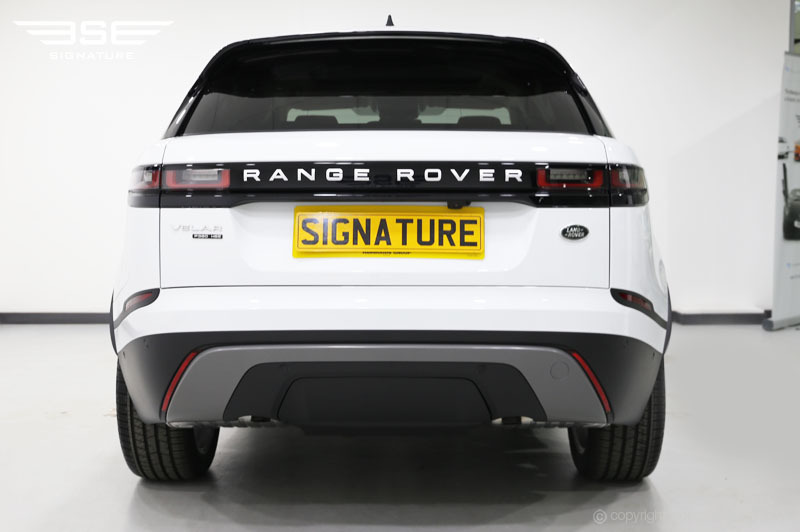 This is a great new addition to the Range Rover line-up and a stunning car in its own right.